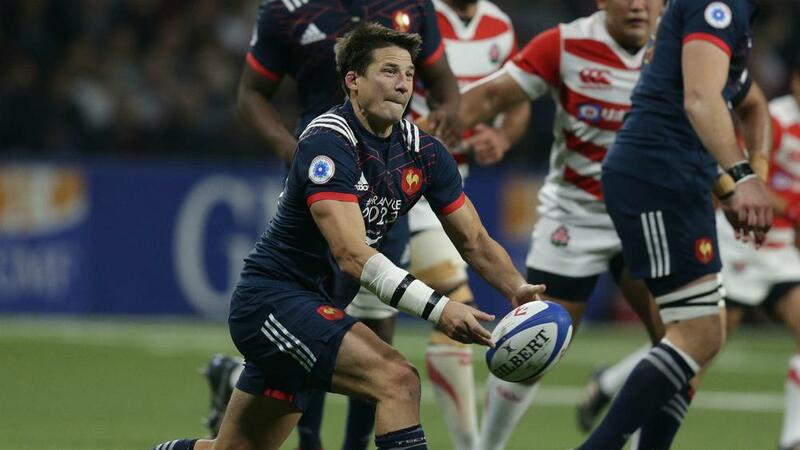 Francois Trinh-Duc will start at fly-half against England as France make just one change to their side for Saturday's Six Nations clash following victory last time out against Italy. Head coach Jacques Brunel had shuffled the pack after his side began their campaign with consecutive defeats, and his decision paid dividends as Mathieu Bastareaud - returning from suspension - starred in a 34-17 defeat of Italy. Brunel has responded by largely showing faith in the players involved in that win, with only experienced fly-half Lionel Beauxis dropping out of the starting XV. Toulon's Trinh-Duc, on the bench against Italy, is the man entrusted with taking on England, who are reeling after Scotland ended their Grand Slam bid at Murrayfield. France XV: Hugo Bonneval, Benjamin Fall, Mathieu Bastareaud, Geoffrey Doumayrou, Remy Grosso, Francois Trinh-Duc, Maxime Machenaud; Jefferson Poirot, Guilhem Guirado (captain), Rabah Slimani, Paul Gabrillagues, Sebastien Vahaamahina, Wenceslas Lauret, Yacouba Camara, Marco Tauleigne. Substitutes: Adrien Pelissie, Dany Priso, Cedate Gomes Sa, Romain Taofifenua, Kelian Galletier, Baptiste Couilloud, Lionel Beauxis, Gael Fickou.